Pasteurization is the process of heating liquids or foods to kill microorganisms (such as Brucella, Campylobacter, E. coli O157:H7, Listeria, Mycobacterium bovis, Campylobacter, Salmonella, and Yersinia) that can cause disease. It was developed by Louis Pasteur in 1864, and the practice became commercialized around the late 1800s and early 1900s. In addition to improving consumer safety, pasteurization can improve the quality and shelf life of foods. Raw milk, raw ice cream, raw cheeses, and raw yogurts are not pasteurized. There is a particular concern that pregnant women, children, and immunocompromised persons may be at risk from infections from unpasteurized milk. TB used to commonly be due to unpasteurized milk. Brucella can be a debilitating disease that is difficult the diagnose, often spread through milk. Outbreaks due to raw milk are more common in states where Raw Milk is not permitted. Different states have different regulations on the sale of this milk. Some make it illegal to sell Raw Milk. Some only permit it to be sold from farms. High Temperature Short Time Treatment. Milk is pasteurized at 161 F for 15 seconds. Flash Pasteurization. This type of pasteurization, which involves high temperature for 3 to 15 seconds followed by cooling and packaging, is used for drink boxes and other liquids that can be stored for long periods of time without refrigeration. Steam Pasteurization. Pressurized steam is used to kill E. coli, Salmonella, and Listeria in beef carcasses. Exposure of the beef to steam results in a surface temperature of about 200 F.
Irradiation Pasteurization. Exposure to gamma rays can prevent the growth of some foodborne microbes in foods such as meats, spices, and produce. Ultrapasteurization. Heating milk or cream to 280 F for 2 seconds can extend the refrigerated shelf life of milk from 60 to 90 days. Ultra-High Temperature Pasteurization. Heating milk to 280 to 302 F for 1 or 2 seconds followed by packaging in airtight containers allows storage without refrigeration for up to 90 days. Myth: Pasteurization reduces the nutritional value of milk. Fact: Sterilization of milk does break down some of the components of milk, but the actual effect on nutrition is considered marginal. Myth: Pasteurized milk causes lactose intolerance. Fact: Lactose is the natural sugar found in milk. Both raw and pasteurized milk contain lactose, and pasteurization does not change the levels of lactose. 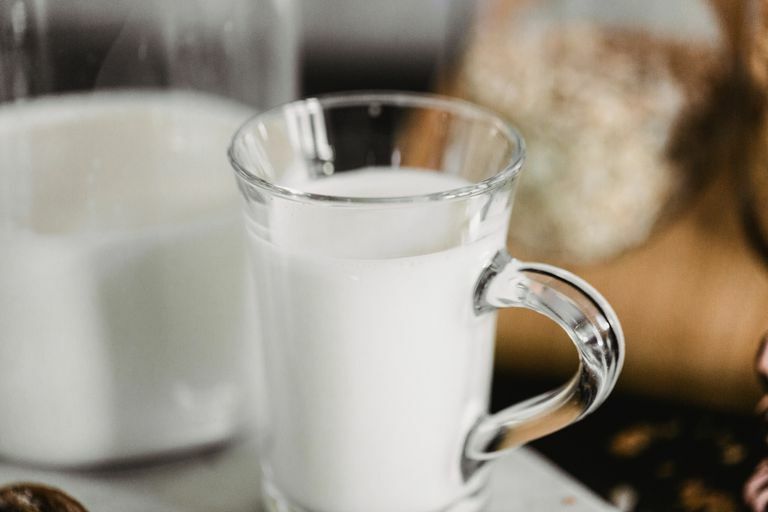 Raw milk advocates argue that raw milk contains Bifidobacteria, a probiotic (beneficial bacteria) that helps digest lactose. While raw milk may contain this probiotic, it results from contamination from animal feces and is not considered beneficial. Myth: Pasteurized milk causes allergies. Fact: Milk proteins that cause allergies are present in both raw and pasteurized milk. Pasteurization of milk does not introduce new allergies. Myth: Raw milk has natural microbe-killing properties. Fact: Enzymes in milk with antimicrobial properties include bacteriocins, lactoferrin, lactoperoxidase, lysozyme, and nisin. However, most milk enzymes survive pasteurization but are broken down by stomach acids during digestion. Myth: If it's organic, it's safe. Fact: Only if organic milk is pasteurized is it safe. Myth: Milk from good farms is safe if fresh, even if unpasteurized. Fact: Diseases can spread even from milk that comes from your own cow or a Co-op that seems good. For more information, the CDC is a great resource for milk and other food safety concerns regarding food safety and reducing foodborne illnesses. The Dangers of Raw Milk. USFDA Center for Food Safety and Applied Nutrition. Bren, L. Got Milk? Make Sure It’s Pasteurized FDA Consumer Magazine. Sept-Oct 2004.